In June, 2013, Conference Partners organised the Greenhouse Gases and Animal Agriculture Conference, attracting some 400 delegates and speakers from throughout the globe. This conference presented scientists with the opportunity to present and discuss the most up-to-date research on emissions from animal agriculture. It focused, in particular, on advancements in the areas of animal derived GHG mitigation. Conference Partners’ Managing Director Nicola McGrane commented that she was “thrilled to be involved in such a prestigious conference. Conference Partners is a company driven by passion and enthusiasm for delivering high quality conferences. 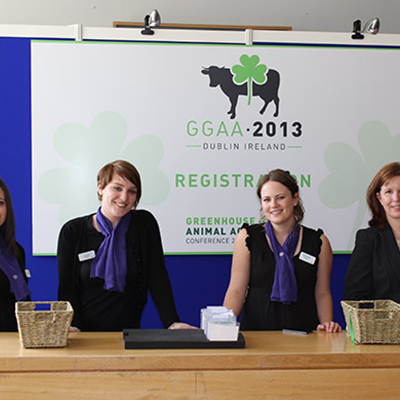 Open communication, strong relationships and ongoing engagement between the team and stakeholders is paramount to the success of each conference we undertake and GGAA 2013 was no exception”.